…isn’t for me. I’m a small-town girl who likes the pace of small-town life. I get my thrills in quiet ways. For instance, I had a very exciting day Wednesday. First of all, my next-door neighbor had invited me to a “Celebrating Home” Home and Garden party at her house. I ordered a bean pot and a covered casserole dish to match the serving bowls I bought the last time she invited me to a Home and Garden party. 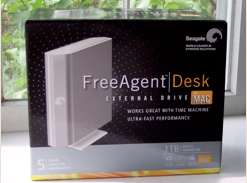 As if that weren’t enough excitement for one day, 15 or so minutes before her party started, UPS delivered to my door a 1 TB Seagate Free Agent Desk external hard drive (EHD). Yes, you read that right. One Terabyte. That’s 1024 Gigabytes. Be still, my heart! I only had time to lovingly unpack the EHD before I had to high-tail it next door. 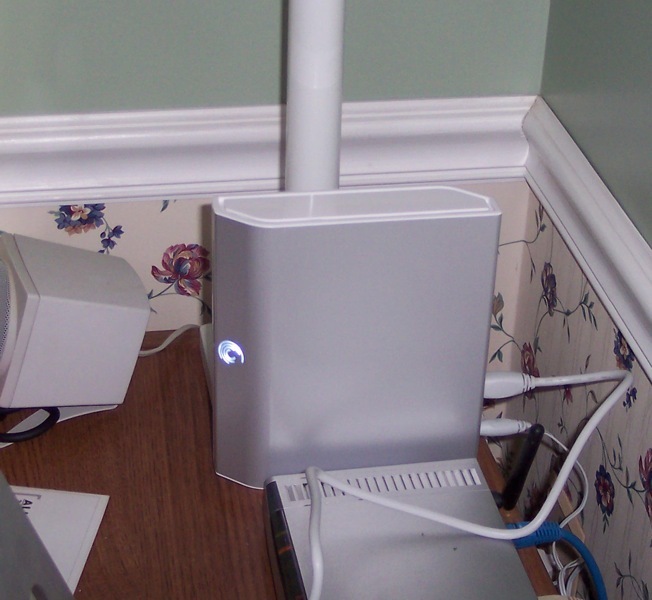 I spent a very pleasant hour at the party, then returned home and spent all of ten minutes connecting the EHD, partitioning it, turning on and setting up the Mac OS 10.5.x back-up program, Time Machine, and setting it in motion. 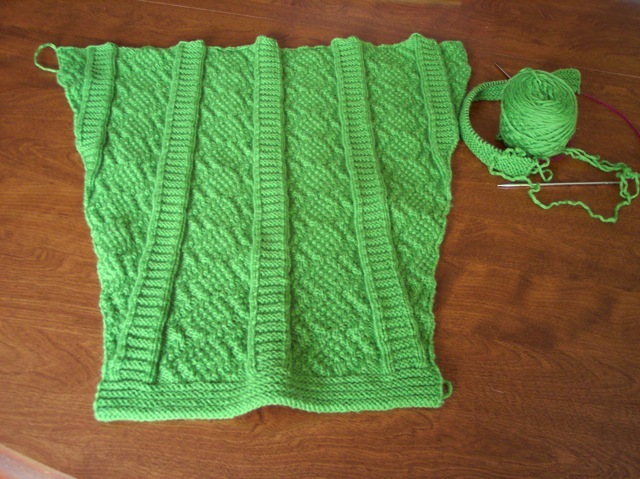 Yes, it was so simple, even Pinko Knitter could do it. LOL Time Machine basically copies all the files on my iMac to the EHD, then does incremental updates hourly, all automatically. It took about an hour and twenty minutes for the initial back-up to run. Wow! That was a lot of excitement for one day, doncha think? But there’s more. The reason I partitioned the EHD was so that I could also use it to make a bootable clone back-up of my iMac. What the hell is a bootable clone? you may ask. It sounds like something from a bad science fiction movie, you may say. Attack of the Bootable Clones. There’s no science fiction involved. A cloned back-up is simply an exact copy of what’s on your computer’s hard drive. A bootable clone is a cloned back-up from which you can boot up your computer. If, heaven forbid, your hard drive crashes, you can boot your computer from the clone and work just as though you were running from the internal hard drive, since the cloned drive is identical to the internal drive. Assuming that you have kept your clone up to date, of course.☺ I’m using a program called SuperDuper and have it set to automatically update my cloned back-up once a week. I’ve never had a hard drive crash, at least not on a home computer. (School is a different story, but I’ll leave that adventure for another day.) But disaster can strike when it’s least expected. I have all kinds of back-ups—CDs, DVDs, flash drives, an old 30 GB HD that I salvaged from an old computer and put in a case to use as an external drive, and even remote storage on my MobileMe iDisk. But better safe than sorry, right? I have this wonderful and amazing back-up program built into my computer’s operating system. I ought to take advantage of it, right? But there’s more. Look what I’ve done.